T&H turned four months old yesterday!! 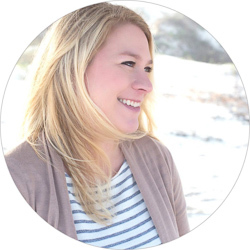 Blog years must be like dog years cause it seems like it’s been much longer that I’ve been doing this :) I love the blogging community and have already made so many friends and learned so much. Coding, photography, graphics, who would have guessed I could learn all that?? Pssshht, not me! 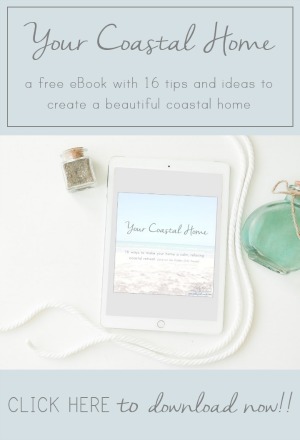 There is so much encouragement and inspiration in blogland and I heart all of y’all for supporting and welcoming me in. 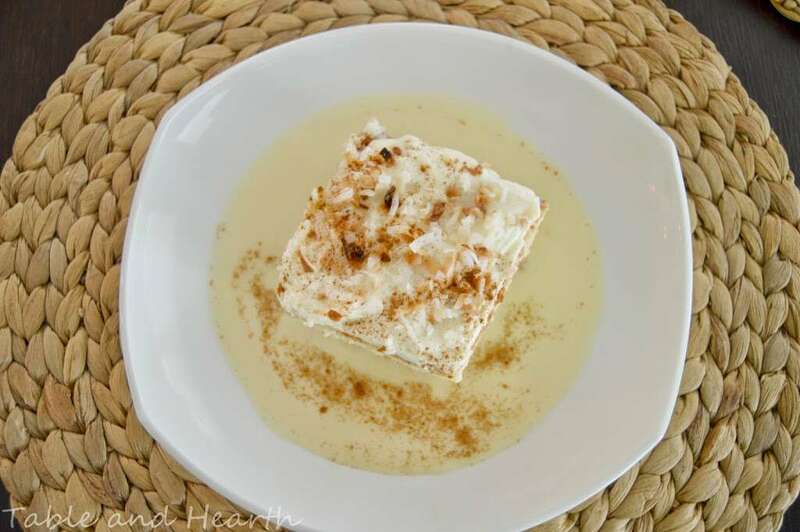 So in honor of my four months, I have a Cuatro Leches cake recipe today! There is a new Peruvian restaurant here on the island that we love and they have a “Cuatro Leches” cake that is to.die.for. I get it every time we go and savor every single bite. 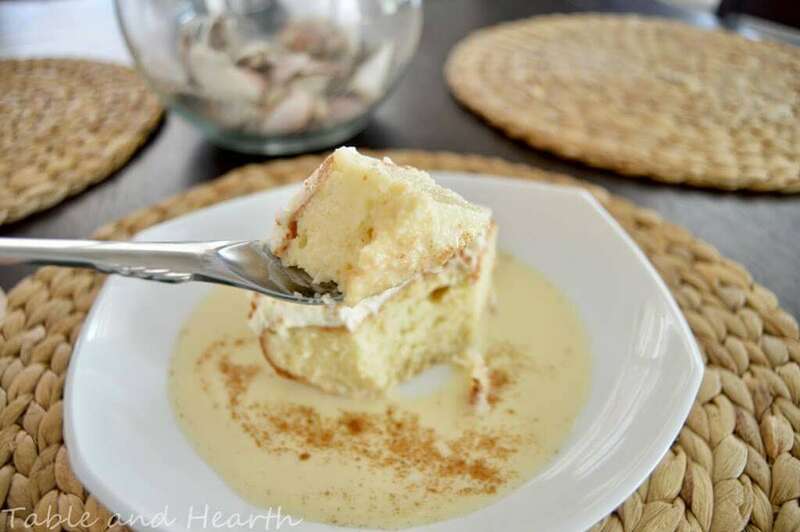 They tell me that the owner’s grandmother makes it :) A Cuatro Leches cake is a spin on the classic Tres Leches cake but with the addition of coconut milk (never a problem). 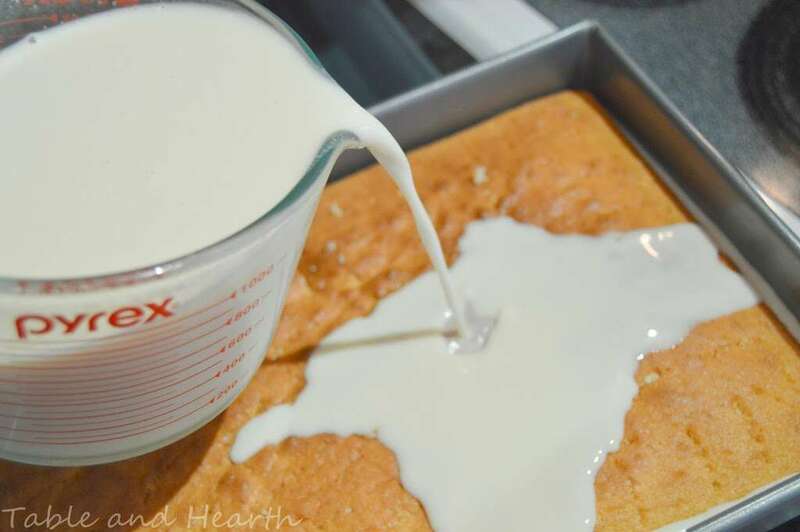 I have been on the search for like a year for a similar recipe and found that cuatro leches recipes are hard to come by, and the tres leches recipes have a ton of variation. Then a few weeks ago, I saw Jellibean Journal’s recipe at the SITS Sharefest linkup and it looked exactly like the restaurant’s. Well I finally got around to making it for a get-together with friends this past weekend and it was an overwhelming success… I have finally found my copycat! 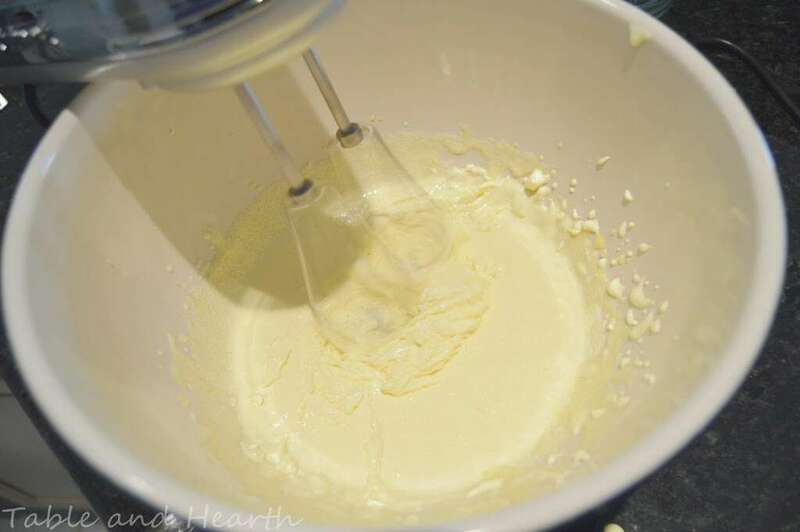 The first portion of the cake batter is made by mixing the sugar and egg yolks then folding in the flour, milk, vanilla (vanilla bean paste for the win! ), and baking powder. I folded those in small portions, alternating milk/vanilla and the flour/baking powder to keep it even and smooth. There may, just may, have been a dollop of coconut rum added to this batter. 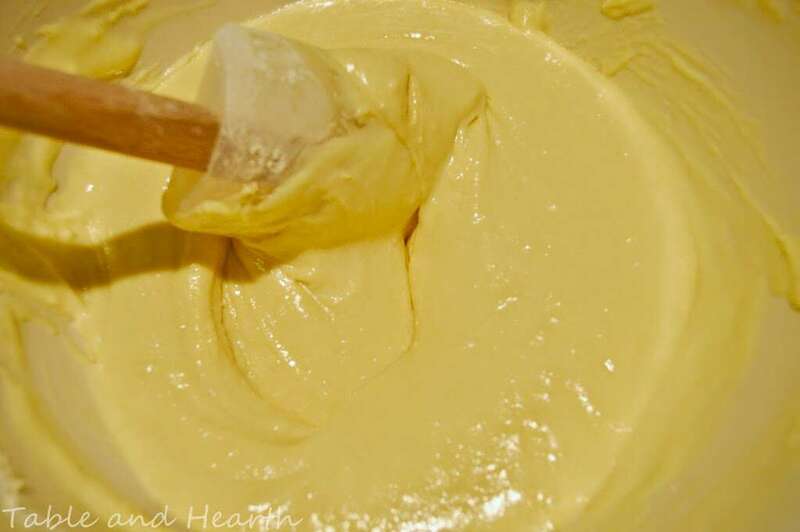 The second portion of the cake batter is the whipped egg whites. 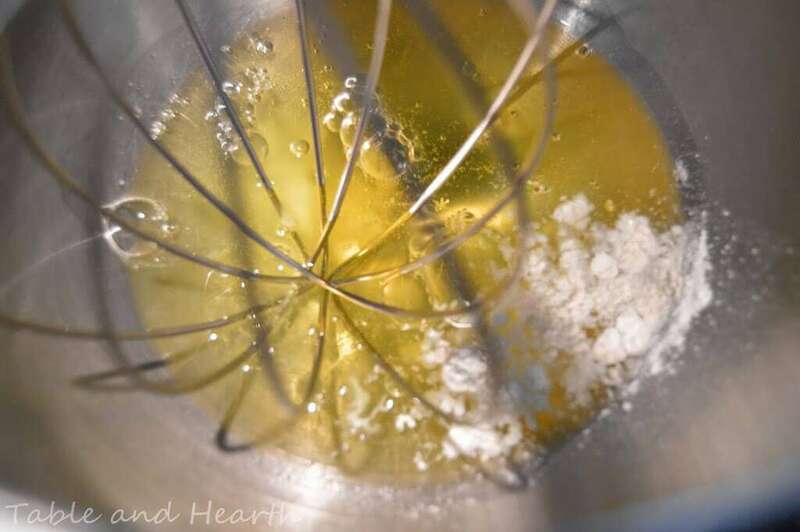 I still think it’s insane that egg whites do this :) If you had to use your mixer bowl for the first portion, make sure you get it totally dry before this step. I never knew why my egg whites wouldn’t whip and it turns out it was because my bowl still had moisture in it from washing. Another reason I need to find another bowl for my mixer (she’s super old so none I’ve tried fit :/). The egg white portion gets folded into the egg yolk portion. I also did this one in thirds. 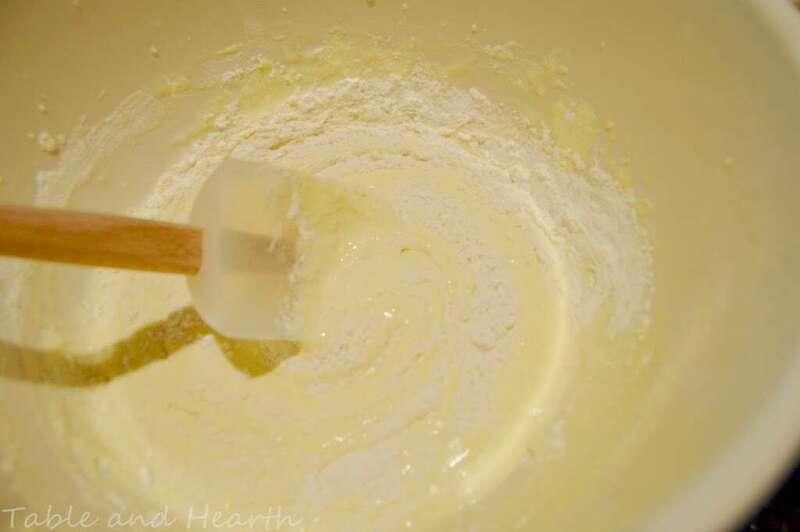 The cake batter gets baked in a greased pan for about 30 minutes at 350F. 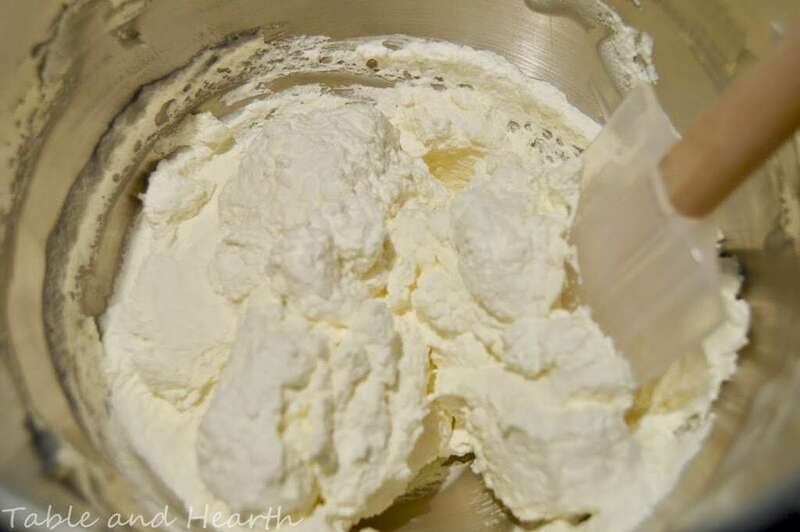 While that was baking, I made the whipped cream (which also amazes me every time still). You don’t have to make your own but I highly suggest it if you can, the flavor is exponentially better homemade and it is super easy! 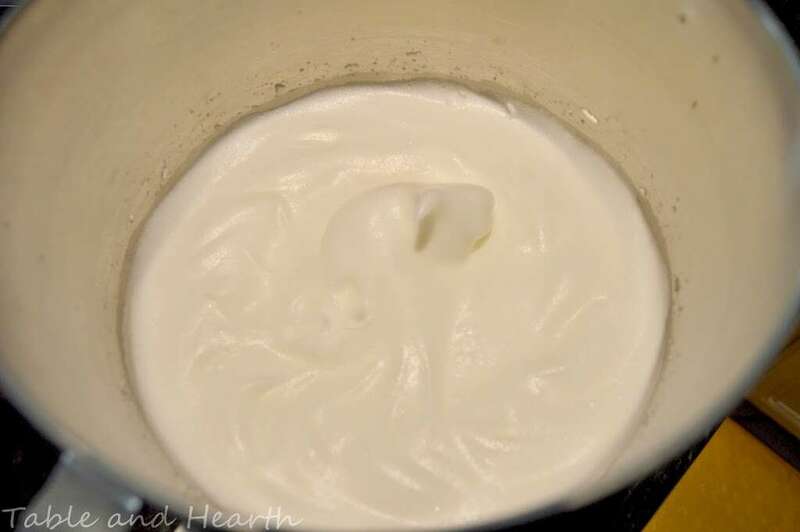 After making the whipped cream, I made the way-easy milk syrup. You just combine cans of sweetened condensed milk (I used low-fat), evaporated milk, coconut milk (I used light), and some coconut rum (yessss). I used Malibu in this and in the cake. Once the cake comes out, slide a knife around the edges and poke the hell out of it with a fork. 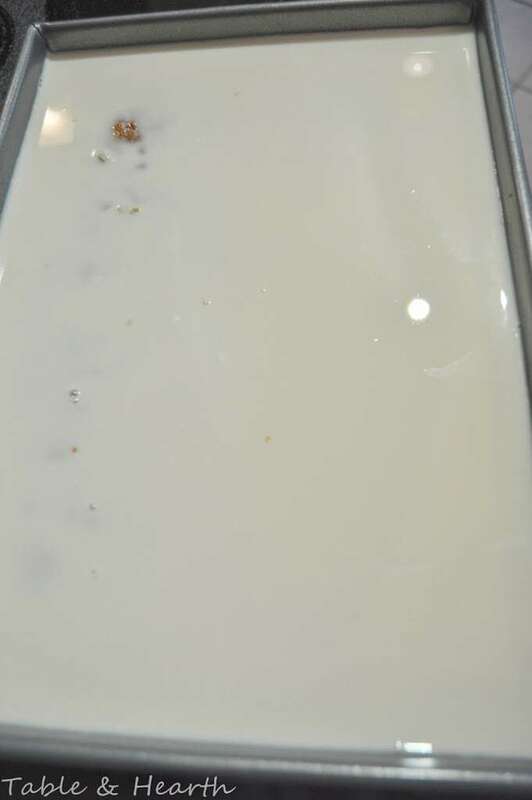 Then pour the milk syrup all over it. Yes it is alot of milk syrup, and yes it will look like it’s going to overflow, and yes it will all fit and all get soaked up. Cover it and let it sit in the fridge until most of the milk is absorbed, it doesn’t have to be completely soaked up though as you want it to sit in it and have some to spoon around it when serving. Spread the whipped cream over it, sprinkle some toasted the coconut over the top (I tossed mine in the convection oven for a minute or so and may have burned some), and serve it up with some generous spoonfuls of milk syrup. I dusted mine with some cinnamon because I put cinnamon on ev.er.a.thang. The cake comes out so moist and spongy itself but it soaks up so much milk syrup that it is literally a sponge, a sponge of awesomeness. My aunt and mother will be in town this weekend so there will be lots of DIYing, crafting, and eating to share with y’all the next few weeks! Yum! 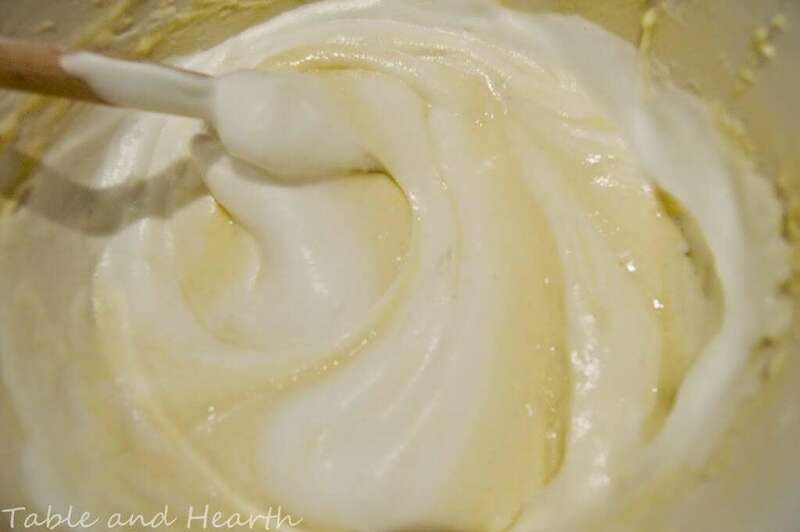 I make a vegan version of Tres Leches which is incredible; I wonder what I could do to make is Cuatro Leches… (it already has coconut milk)… Will have to experiment. Thanks for sharing though. Looks delicious! Thanks Natalye! That sounds very intriguing! Luckily it’s just in the syrup so you could play around with various substitutes before making the whole shabang with the cake. I would love to hear what you find! Oh my goodness! 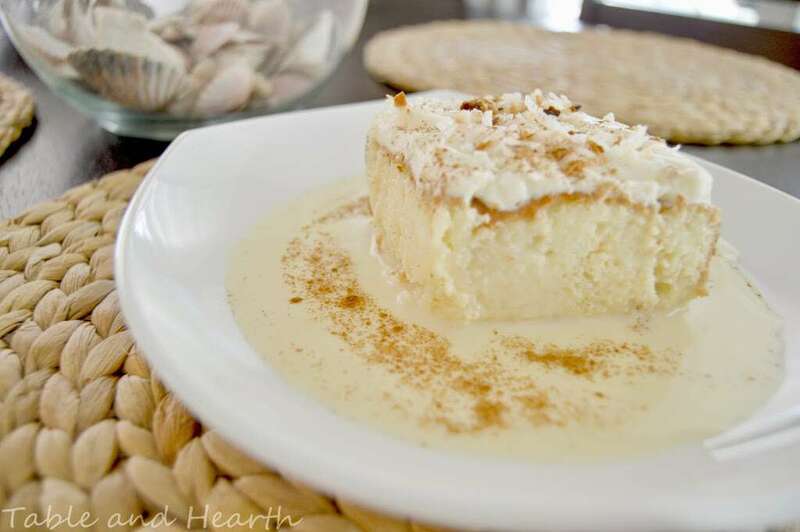 I love Costa Sur and just had the 4 Leches tonight and started trying to find a recipe!!! Then, here you are!! Copy cat just for me, and your my neighbor! Not literally, I don’t think. But, same Island! 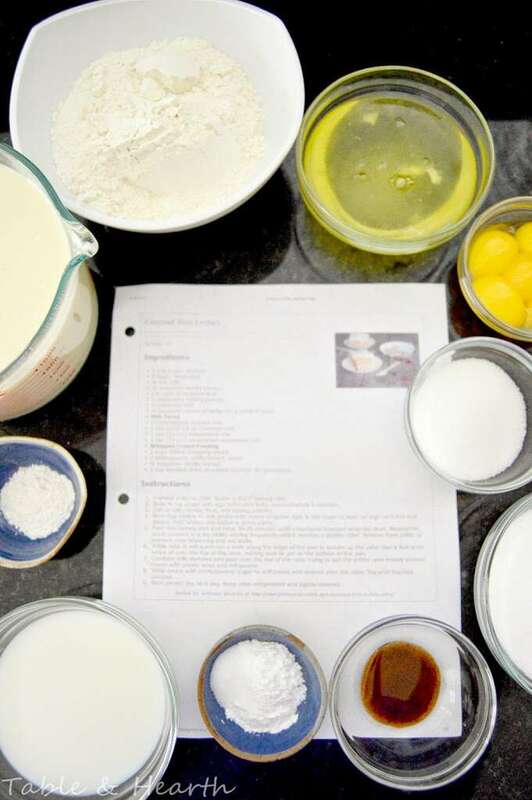 I bake often and can not wait to make your recipe!